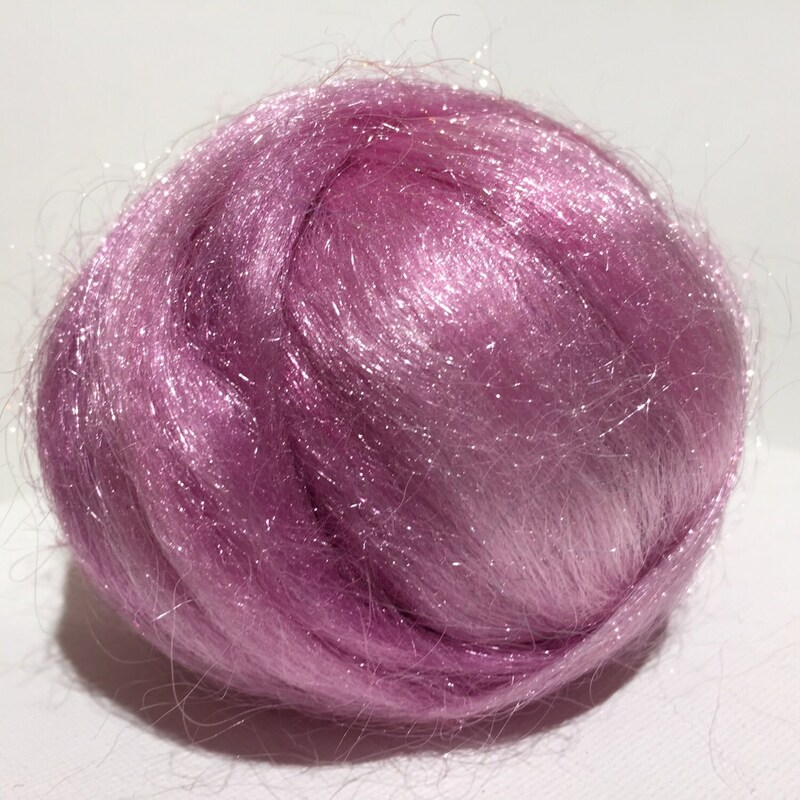 You'll get half an ounce of hand dyed, light pinky purple, Firestar-- a fine denier nylon fiber that is very easy to blend and very soft. 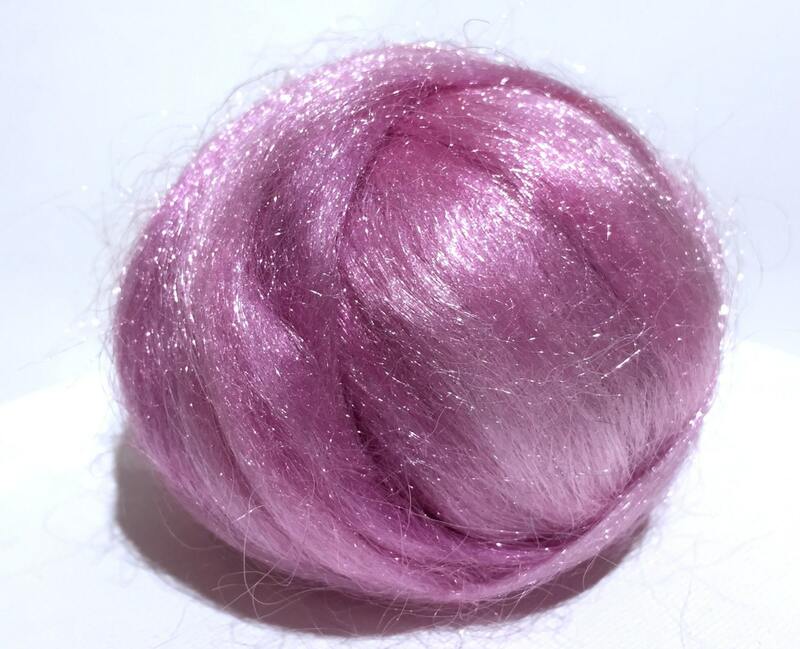 All batches are dyed together, and will vary from batch to batch. If the difference is substantial, we will take Please order what you need to insure color continuity as we may or may not be able to reproduce a color exactly. Photos *may* be stock photos but rest assured that if the next batch is substantially different, new photos are taken :) If you need a particular color —or more of a particular color and it is not in stock, please just ask. 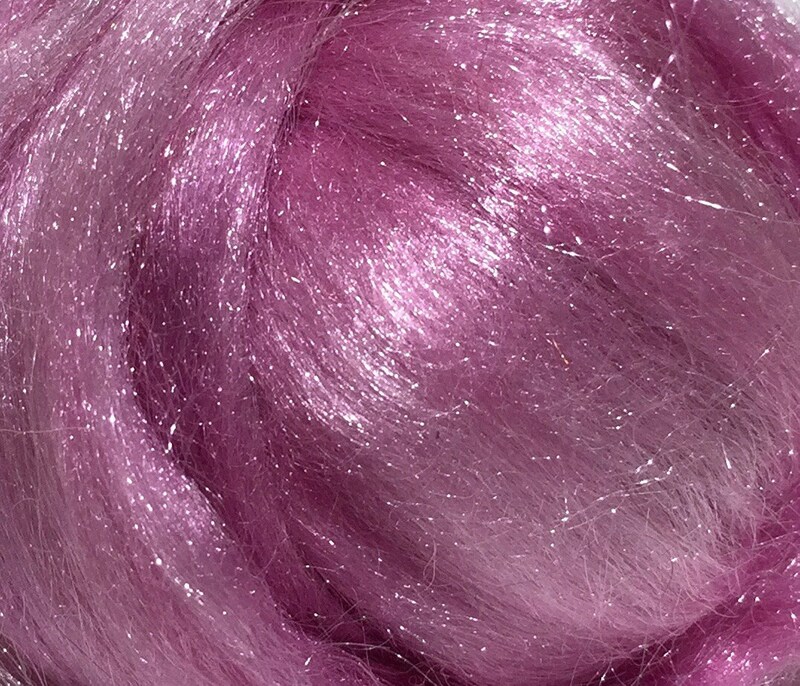 We'll happily dye something just for you! Gorgeous, I look forward to using this with my Angels. Beautiful color and very quick order processing.